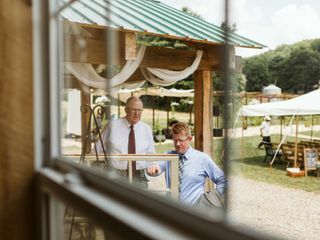 White Pine Grove is a rustic barn wedding venue near Loudonville, Ohio. 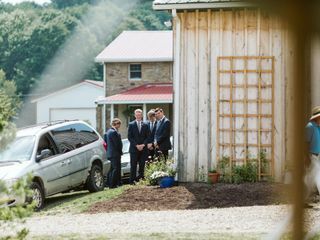 This secluded venue is nestled in Mohican forest, with views of the rolling hills and forests for miles. 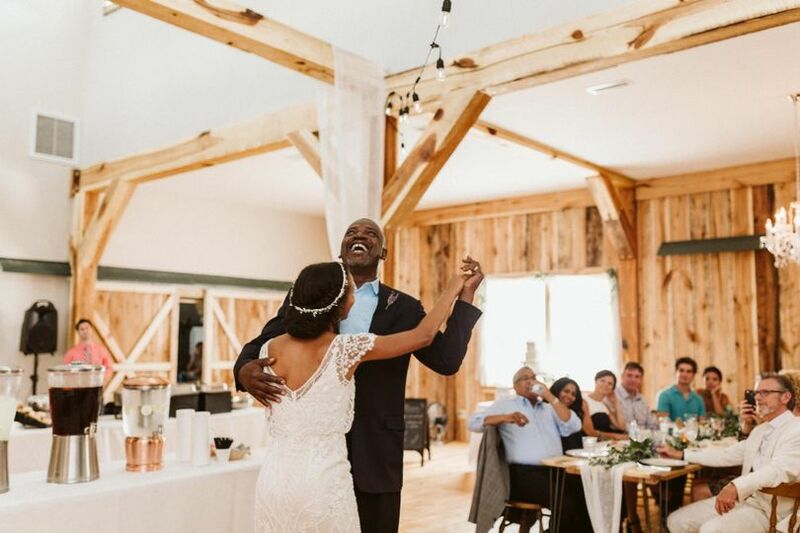 Owners David and Kathy Laub transformed an old horse farm into a beautiful venue for their son’s wedding, the first event at White Pine Grove. Ever since, they have enjoyed helping couples make their wedding day dreams come true on the property. 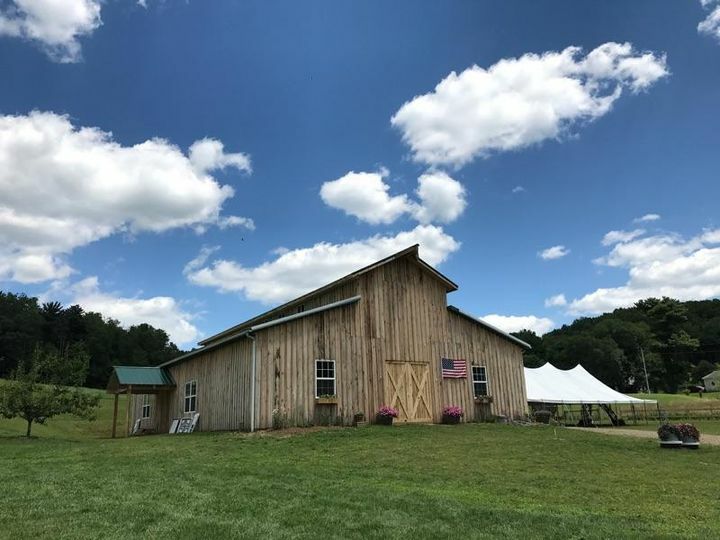 With a spacious barn and acres of farmland to use for your event, there is no limit to the possibilities at White Pine Grove. 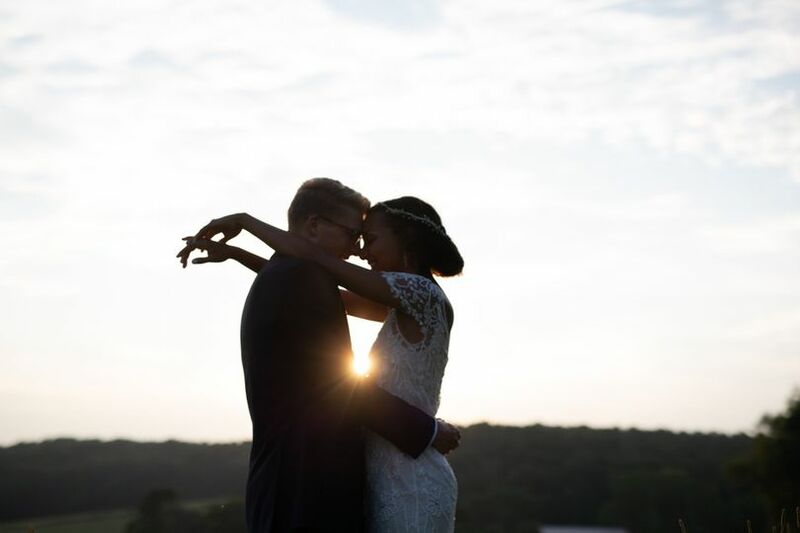 For a truly remarkable wedding day, White Pine Grove is the right choice for you. White Pine Grove offers both indoor and outdoor venue space to complete your wedding day. 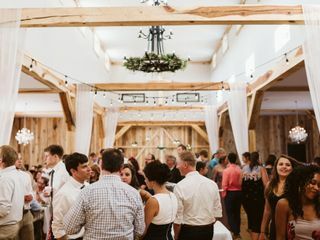 The barn holds a capacity of 220 seated guests, with enough room for a dance floor and entertainment inside its cozy quarters. 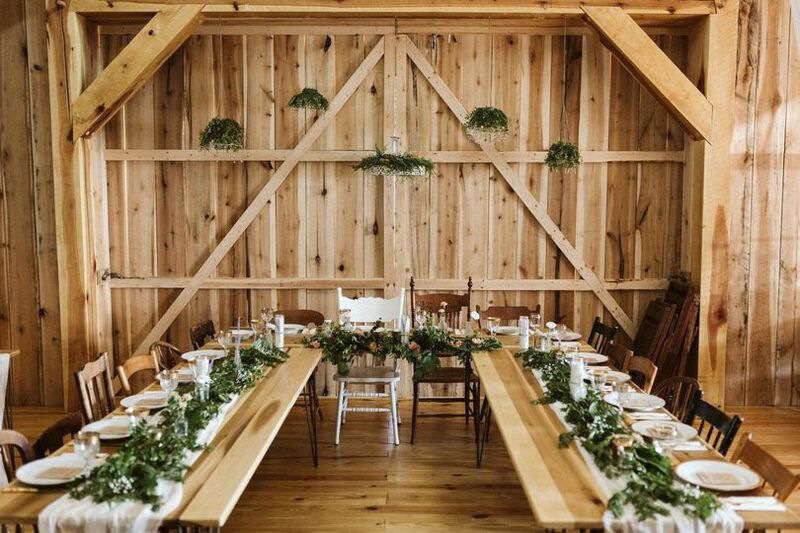 The barn features 20-foot ceilings and both rustic iron and elegant crystal chandeliers. Open the barn doors to provide a breezy entryway between the outdoor cocktail area and the more bustling indoor dining area. 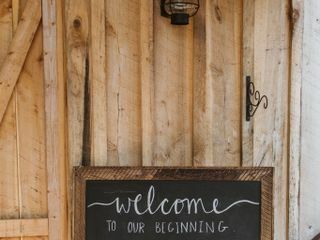 Wooden tables and chairs will be set up for your reception inside the barn, and chairs can be provided for an outdoor ceremony. A bridal suite and groom's room are available for pre-wedding preparations, as well as indoor bathrooms for your guests. 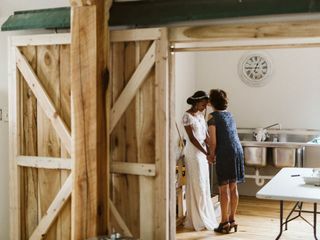 An ample catering kitchen is inside the barn which features sinks, countertops, work tables, service carts, and refrigerators. 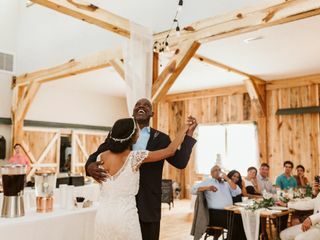 With both heat and AC, the White Pine Barn is truly a unique rustic barn venue. 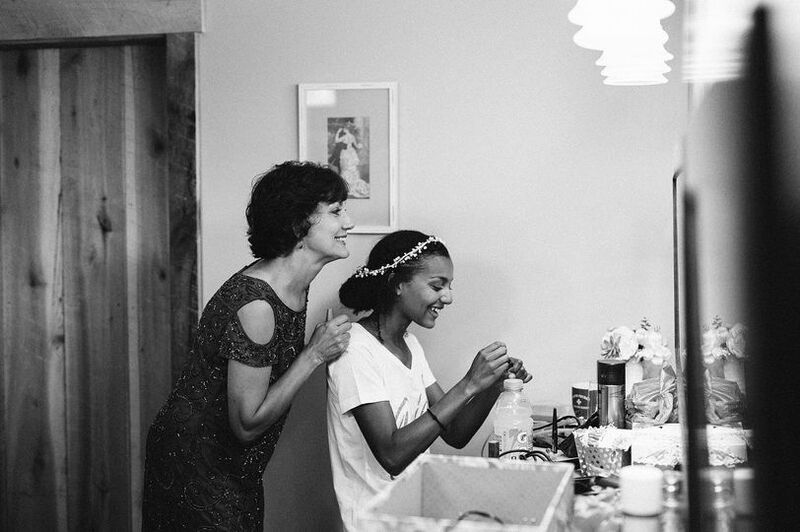 David and Kathy Laub of White Pine Grove help couples create their dream weddings every day. They work with you one on one to help plan, prepare, and execute your event exactly as you’ve envisioned from the moment you got engaged. 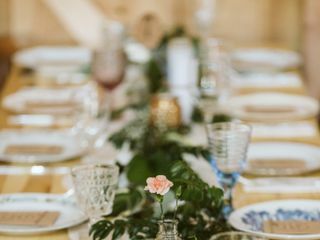 They provide a variety of decor options and seating arrangements at handmade wooden tables and antique chairs. White Pine Grove also offers tent rental packages are offered for a variety of wedding sizes in order to enjoy the lovely outdoor space. Wooden arbors for your ceremony and a portable PA system for your ceremony and reception are included in any package. Other decor items and setup services are available upon request. My husband and I had our wedding reception here and it was beyond lovely. The building is beautiful and spacious, there is a wonderful kitchen and the bathrooms/dressing rooms are very nice. The owners are also some of the sweetest people—very accommodating and helpful. We have had many people comment to us on how unique and beautiful the occasion was, all thanks to the venue. We had nothing but a positive experience there and would highly recommend the facility to anyone! I have attended 2 wedding receptions and a baby shower there. We have LOVED the serenity, beauty, and accommodations! 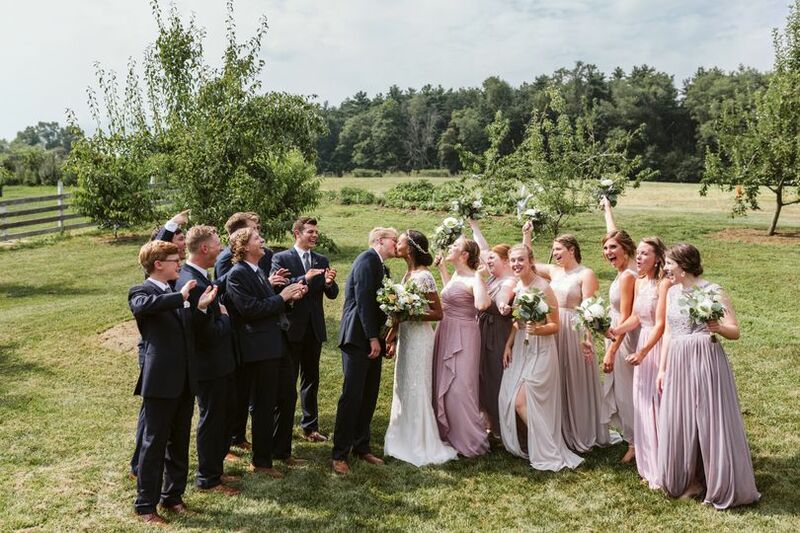 If you are looking for an excellent venue with extraordinary beauty for a reasonable price, look no further than White Pine Grove! Hidden Gem that's Worth the Drive!! 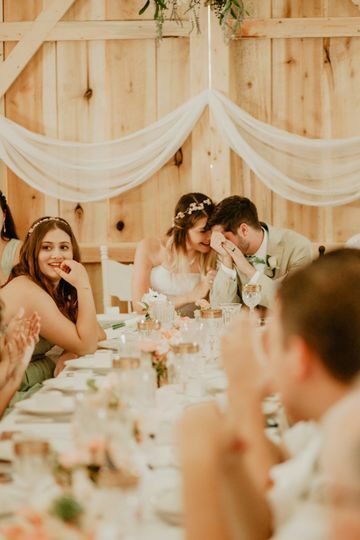 My son and daughter-in-law got married and had their reception at White Pine Grove in July of 2018, and it was absolutely spectacular! We also held the Rehearsal Dinner there on Friday night. 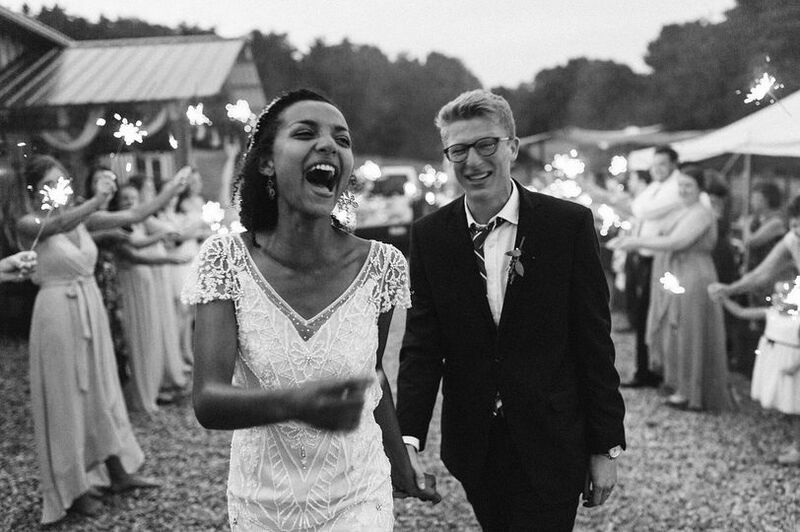 The Laubs are such amazing people who don't just provide a venue; they help make lifelong memories possible! Their barn is air-conditioned, intimate, and absolutely beautiful!!! I can't recommend White Pine Grove enough!! !